"Negotiations will be a real challenge for the Taliban and a good opportunity to divide and conquer for the West, as this is not a homogeneous movement but a loose arrangement of different tribal leaders, egos, interests and characters sometimes even fighting each other. This is the golden chance for Western success, which can only be evaluated when you talk to the different leaders over months." Priority must now be given to discussions and a focus on solid, realistic solutions that lead to peace and stability in Afghanistan. Until now, the end-state of peace, and realistic options and routes to it, have been neglected. This war's cost in blood and dollars has increased dramatically, so a new longer term strategy to find a solution is needed. "NATO and the U.S. urgently require a much more credible political-military grand strategy for Afghanistan. A new and radical overall design is needed, or defeat is guaranteed. The West needs a new NATO Double Strategy of Power, Reconciliation and Reconstruction. The Western nations must continue to maintain their forces there for some years to contain the Taliban and defeat the terrorists of al-Qaeda. The advice of the legendary Pentagon strategist Fritz Kraemer applies for the new NATO strategy in Afghanistan: "There can be no diplomacy behind which there is no threat of power. But power alone is not sufficient. We are stressing facts and figures rather than the political-psychological. We are beholden to Anglo-Saxon pragmatism. Flexibility is a virtue unto itself to solve the problem on its merits. We do not look at consequences in Time and Space. Inner musicality is needed for a good politician." Until now, a convincing, credible, efficient and intelligent political-military strategy for Afghanistan has been lacking - a sensible consolidation of power and reconciliation, a genuine political-psychological peace policy derived from the roots of Afghan tribal mentality. The good news is: maybe 80 percent of the problems in Afghanistan have been caused by the U.S. and the West's naive approach, producing a mismanaged mess. Poor planning is the worst enemy of peace, not the Taliban who have taken advantage of Western mistakes for years. U.S. General Stanley A. McChrystal (ISAF) asked some months ago for 40,000 additional U.S. troops (there are already 65,000 fighting there), help bolstering the Afghan Army from 85,000 to 240,000, and enlarging the Afghan police from 80,000 to 160,000 men. McChrystal's new focus on protecting the Afghan people and engaging with insurgents is right and promising but it is only one element for success. In his West Point speech on December 1st, 2009 President Barack Obama was right to agree to 30,000 extra U.S. soldiers to the ground "to seize the initiative" promising that "after 18 months our troops will begin to come home". In approximately six months there will be almost 100,000 U.S. soldiers in Afghanistan, up from only 32,000 when the new President took office in January 2009. One of the main problems with the war in Afghanistan is that since 2003 George W. Bush was 80 percent focused on Iraq and neglected the Afghan theatre, losing the initiative on the ground. Bush opened the door for the Taliban's recovery from 2003 to 2009. Obama will not withdraw this new force in summer 2011 but only "begin to reduce". He did not propose a withdrawal but a clearer time frame for everybody involved, leaving him the flexibility to reduce from 100,000 to maybe 90,000 or less depending on the progress on the ground - still leaving three times as many troops as during the Bush administration. 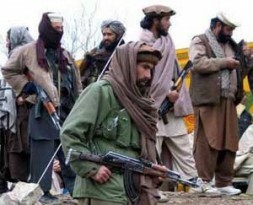 The Taliban do know that NATO and U.S. forces will not stay forever in their territory. In 2011 the war will already be ten years old. To blame the President based on his announced schedule is naive. The clock is always on the side of the insurgents operating in Afghanistan. The new surge in Afghanistan will be a success as ISAF will regain the initiative. But simply increasing Western troop numbers, while building up the Afghan Army and police, is unlikely to change the strategic situation. Even with many more troops, the large territory of valleys, cities and villages on mountainous terrain cannot be held. According to military assessments, some 400,000 soldiers would be needed for this. The military is only one important element in peacemaking. The 'scorpion strategy' is preventing the Taliban conquering the cities and denying them victory. Combined with Predator strikes against their leadership, military victory is impossible for both the Taliban and the West. This is good and bad news as well and for both sides involved. 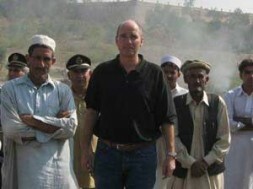 Dr. Hubertus Hoffmann, President of the World Security Network Foundation, in the Tribal Areas in Pakistan: "The 'scorpion strategy' is preventing the Taliban conquering the cities and denying them victory. Combined with Predator strikes against their leadership, military victory is impossible for both the Taliban and the West. This is good and bad news as well and for both sides involved." Overall 'victory', 'success' and 'stability' in Afghanistan cannot be achieved purely by force, but only by integrating or absorbing former Taliban fighters into the Afghan state, as done in Iraq in 2006 when tens of thousands of Sunni tribesmen agreed to stop fighting. They were absorbed into the police and went on the payroll. This absorption of many thousands of fighters is as important as the training of more Afghans or more allied forces on the ground. It should be combined with a wide range of local and national reconciliation discussions. With whom must the U.S. and NATO coalition governments talk about peace? With those people firing at their soldiers: the Taliban. All of them, on all levels, quickly and without hesitation. For example, Taliban commanders and representatives such as Mullah Wakil Ahmed Mutawakkil, the former Foreign Minister and youngest in the Taliban government until 2001, now living in Kabul; or Arsalan Rahmani, former Taliban minister and now a Senator in the Afghan Parliament; even the Quetta-based Taliban leadership council and its primary leader Mullah Mohammed Omar. Such peace talks should include the hard-line Taliban leader Mullah Omar, not just the so-called 'moderate Taliban'. Omar is in hiding but remains immensely influential, and the majority of the Quetta leadership is now open for peace talks. Does this make sense? Would the Taliban not be 'winning'? Yes - it does make sense. The Taliban are under pressure from airstrikes, they are burned out and they cannot win the cities. They have reached the climax of their military influence and have lost their very important former backer, the Islamic Republic of Pakistan, which is interested now in internal stability and a modus vivendi as well as Saudi Arabia. Is this soft and appeasement? No. Any reconciliation in any area of conflict must integrate the former enemy. Or, as Eric Hoffer once said: "A war is not won if you have not turned your enemy into your friend". The Germans were the deadliest enemies of the Americans 1939-1945, but only ten years later were best friends, with thousands of former Wehrmacht officers defending freedom in NATO side by side with the U.S. It is naive to believe that 100 percent of the so-called Taliban fight for radical Islamic ideas. More than 90 percent oppose foreign invaders as all Afghans have for 3,000 years, and see themselves as defenders of their Islamic values and traditions. They are misled by a few radicals or simply earn money to survive. We need to imagine a scenario of stability for Afghanistan, negotiating peace and absorbing Taliban elements. "With whom must the U.S. and NATO coalition governments talk about peace? With those people firing at their soldiers: the Taliban. All of them, on all levels, quickly and without hesitation." What are the minimum requirements for stability and peace with the Taliban? First, the priority must be the casus belli, al-Qaeda and 9/11. Al Qaeda should be forced to stop their involvement in Afghanistan, and all elements asked to leave the country. There is a rolling consensus in the Taliban and its leadership council (Shura) operating from Quetta that this can be achieved and that the time of international guerrilla warfare from Afghan soil is over. Second, the acceptance throughout this Islamic country of an internal order respecting human rights, the dignity of men and women, and the promotion of education for all. This was preached by the Prophet himself throughout his lifetime, in Mecca and Medina, as documented in 10,000 Hadith and the Holy Koran focused clearly on mercy and peace. Imams from other Islamic countries should bring their best analyses of the Koran to bear on these discussions. After eight years of post-9/11 global debate, more and more imams are rediscovering the true roots of Islam and the Prophet's demands for mercy and respect of others. Most hard-line Taliban are young, uneducated, and not experts in Islam or the true teachings of the Prophet. They are misguided radicals, like the Christian Crusaders were in the 11th to 13th centuries. Third, a new local balance with maximum local autonomy should replace thirty years of civil conflict and division between the Northern Alliance and the Pashtuns in the south. Fourth, an end to foreign interference, including from India, and a system of checks and balances. Unfortunately, until now genuine peace talks with the Taliban have not been in the interests of President Karzai and the perhaps 1,000 Northern Alliance and Western-oriented politicians and businessmen who wish to retain power rather than share it. But without the prospect of political power sharing, there can be no incentive for Taliban groups to support a ceasefire and peace in Afghanistan. The manipulation of Afghanistan's election has shown clearly that the lust for power of Karzai and his people dominate politics there. Karzai is not the solution, but an important part of the problem. The other presidential candidate Abdullah, former Foreign Minister, is part of the ruling elite and no real change. A real strategic change is needed, not merely cosmetic steps. More troops alone will not alter the war's progress greatly. Indeed, it will increase Pashtun resistance. "Others with excellent connections to the Taliban should be included, like former Pakistani ISI Director Maj Gen (ret) Hamid Gul, who is a radical critic of NATO involvement but a Pakistani nationalist as well guided by his perception of national interests. Until now the President excludes the 'old bad' Taliban. This is wrong as in war you have to negotiate with the worst possible enemy, just remember Vietnam and the Paris-based peace-negotiations by Henry Kissinger or the IRA in Northern Ireland." 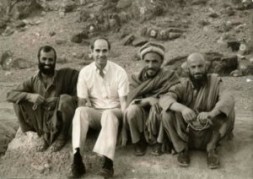 The Bonn peace process for Afghanistan was based mainly on the pro-Western forces of the Northern Alliance and the second largest ethnic group, the Tajiks, and excluded the majority of Pashtuns in the Kabul government. Although Karzai is Pashtun, he is not respected as an independent and strong representative of the Pashtuns from the south. All security related cabinet positions were filled by non-Pashtuns politicians mainly Tajiks. 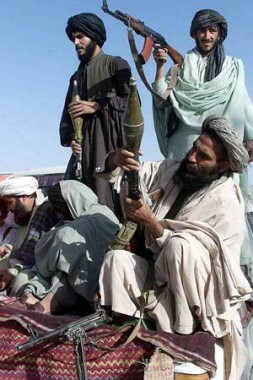 The Taliban have their roots in the Pashtun population which lives as well in the tribal areas of Pakistan. How should this opportunity for a strategic solution be taken? First, initial peace negotiations with the Taliban are needed. Such meetings would be best held in Saudi Arabia, where Mullah Mutawakkil and Sen Rahmani met representatives of the Taliban in 2008 and now continue clandestine negotiations. Other potential supporters are the United Arab Emirates and Qatar. This process would be intensified by freezing all U.S. bounties on the heads of Taliban commanders, and by providing guarantees for their personal safety throughout the talks. 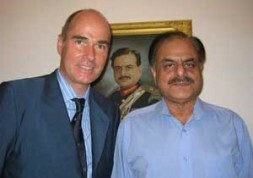 Others with excellent connections to the Taliban should be included, like former Pakistani ISI Director Maj Gen (ret) Hamid Gul, who is a radical critic of NATO involvement but a Pakistani nationalist as well guided by his perception of national interests. Until now the President excludes the 'old bad' Taliban. This is wrong as in war you have to negotiate with the worst possible enemy, just remember Vietnam and the Paris-based peace-negotiations by Henry Kissinger or the IRA in Northern Ireland. Pakistan should - together with the West - work on a negotiation proposal for the peace talks as there can be only stability in Afghanistan with the wishes of its neighbouring country included. The inner Pakistani process of discussions has just started. We need to define the desired end-states of Afghanistan in 2011 and 2020 now, and work hard to reach them. We need a first draft of a roadmap to peace, including: a general withdrawal schedule for all foreign troops, demilitarisation, bolstering local independence, and checks and balances guaranteed by Saudi Arabia and UN peacekeepers. Best practice from the Northern Ireland peace process and from Iraq could be used as benchmarks. Then a ceasefire could be the first concrete step towards peace. The negotiations themselves would be a positive impulse for improved mutual understanding and a change of mindset, with emerging Taliban leaders bringing new ideas, paralleling Northern Ireland. We have to find the 'new Taliban' with whom a consensus and power-sharing is possible. We can expect that this negotiation process will work as a catalyst for reconciliation without giving up fundamental positions of the West. It will integrate the Taliban fighters into a political process and absorb them at the end. Mullah Omar should take asylum in Saudi Arabia along with other 'old Taliban'. Karzai should be invited by France for a golden retirement (as successfully managed in the past with African friends of the French leadership), as he is burned out after eight years. The West should support a more dynamic, credible leadership in Kabul legitimized by elections at the end of 2010 when we should see the first positive results of the new strategy. Power should be decentralized from Kabul to the regions and valleys, in contrast to the wrong-headed Bush approach. After signing a peace accord, the fresh Taliban leadership could even take over regional governments in 2011 in the southern regions of Helmand and Kandahar, the new position of a Minister of Reconciliation in the Kabul government, and certain other central government positions. Kabul should be dominated by the values of the new constitution and improved central forces but include some Taliban elements. The northern parts of Afghanistan should receive a maximum of autonomy and protection guarantees from the West and balance the power of the new Taliban now. Negotiations will be a real challenge for the Taliban and a good opportunity to divide and conquer for the West, as this is not a homogeneous movement but a loose arrangement of different tribal leaders, egos, interests and characters sometimes even fighting each other. This is the golden chance for Western success, which can only be evaluated when you talk to the different leaders over months. Checks and balances will allow strong local independence with a weaker central government, reflecting the complex, 2,000 year old diverse structure of Afghanistan's many different tribes and ethnicities. Anti-narcotics policies must detoxify this torn country, including buying poppy crops from the farmers for two years. Peace in Afghanistan is also vital to avoid destabilising Pakistan further, and with this the entire subcontinent including India. Pakistan is much larger and more important than Afghanistan, and a nuclear-armed state sandwiched between two hostile fronts could trigger a negative domino effect in the region. Unfortunately, India still sees a weak Pakistan as a good Pakistan, and after the tragic Mumbai terrorist attacks has stopped the reconciliation process on Kashmir, hardening its position. The traditional foreign affairs establishment in New Delhi is stuck in its old mindset, missing this chance to stabilize the subcontinent, something certainly in India's security interest. Fresh reconciliation negotiations should start now, perhaps organized by Switzerland as successfully done with Turkey and Armenia, and with the full backing of the U.S. and other Western powers. Best practise from Northern Ireland suggests many ways to integrate the former enemies on the Indian side of Kashmir into the peace process. The Indian corps commander in Kashmir, and many of his officers, sees a reconciliation process as conditio sine qua non for Indian interests there. There will only be stability on the Indian subcontinent when there is real peace in Afghanistan and Kashmir. Why not do both ?